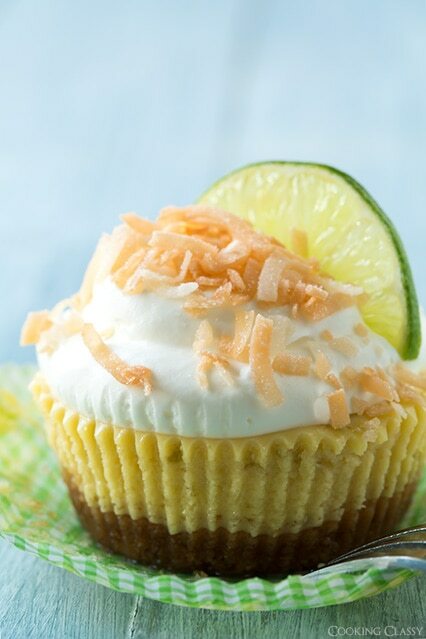 These Coconut Key Lime Pie Cupcakes by Cooking Classy are perfect for a summer treat! The cupcakes start with a graham cracker and toasted coconut crust, followed by key lime pie cake, and are topped with coconut whipped cream, toasted coconut, and a lime slice. To see the directions and recipes, click here to view the whole post!